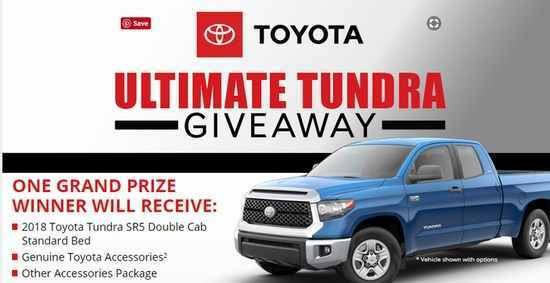 Bassmaster has come up with Bassmaster Toyota Ultimate Tundra Giveaway from which you could win 2018 Toyota Tundra SR5 Double Cab Standard Bed and Genuine Toyota & Other Accessories Package absolutely free. You can enter 1 times daily during the Sweepstakes period. To enter Bassmaster.com Toyota Ultimate Tundra Giveaway, You have to visit promotion.bassmaster.com/toyota and follow the on-screen instructions carefully.